By purchasing our beautiful products, you have had a part in changing so many lives. The artisan cooperatives offer the women supportive programs and satisfying work with a future. And the future looks brighter for their children, too. Instead of having to drop out of school to go to work or get married, these boys and girls will have many more options for their lives. Join us in celebrating another year’s success. 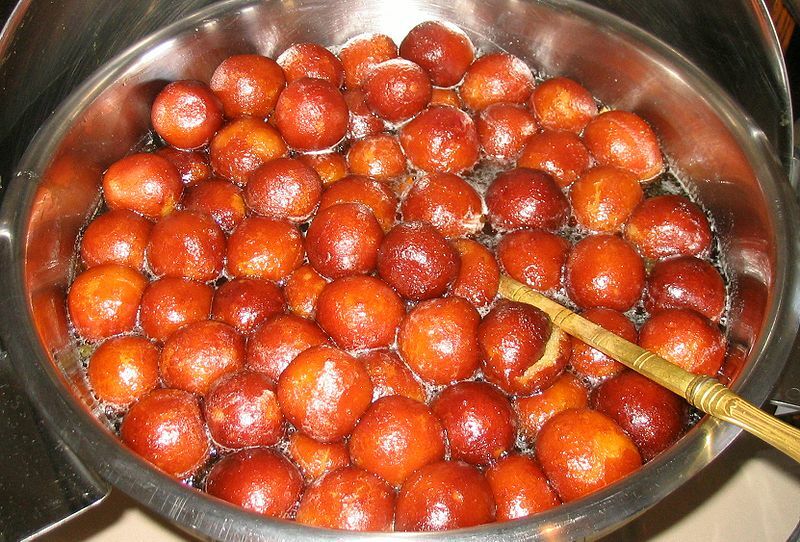 In India (as in America) sweets are a special occasion food. Enjoy the following recipe for a favorite treat. You can find many other recipes in the book, “Everyday International Recipes Cookbook,” available on our website, www.marketplaceindia.com. Place all the above ingredients in a heavy saucepan and bring to a boil. Continue to cook for about 5 minutes, until the mixture has thickened and become a syrup.Remove from heat and cool to room temperature. Combine all ingredients except the oil and knead the mixture together to form a smooth dough. Shape into balls ¾ -inch to 1-inch in diameter. Heat the oil in a wok and fry the balls over very low heat until they turn golden brown and are cooked through. Remove, drain on paper towels, and transfer to the sugar solution. Serve balls and syrup chilled or at room temperature. Next Post: 5 Ways To Look Good (and Save) In The New Year!